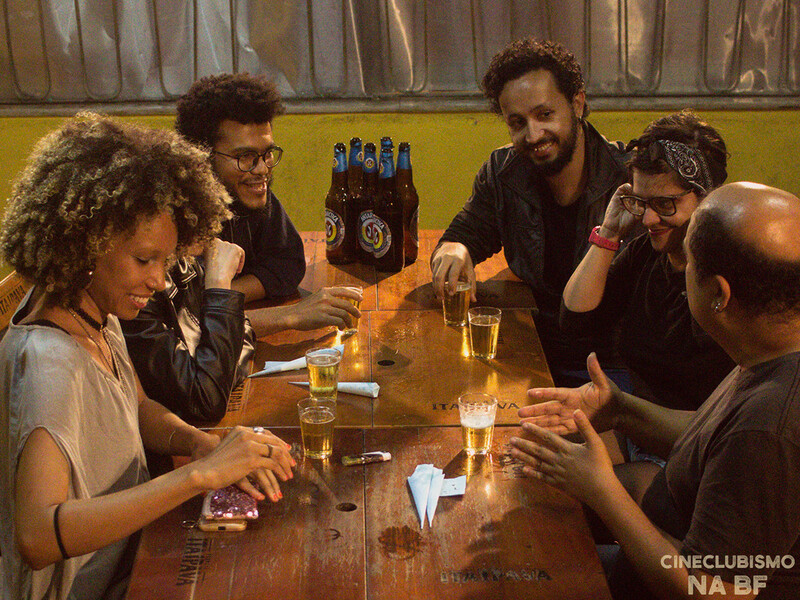 In Baixada Fluminense, independent cultural groups began a filmclub movement that brings cinema to the viewer. For over a decade, these film clubs have a massive role on the social upbringing of suburb regions and the starting of a dialog to change the day-to-day of these cities. 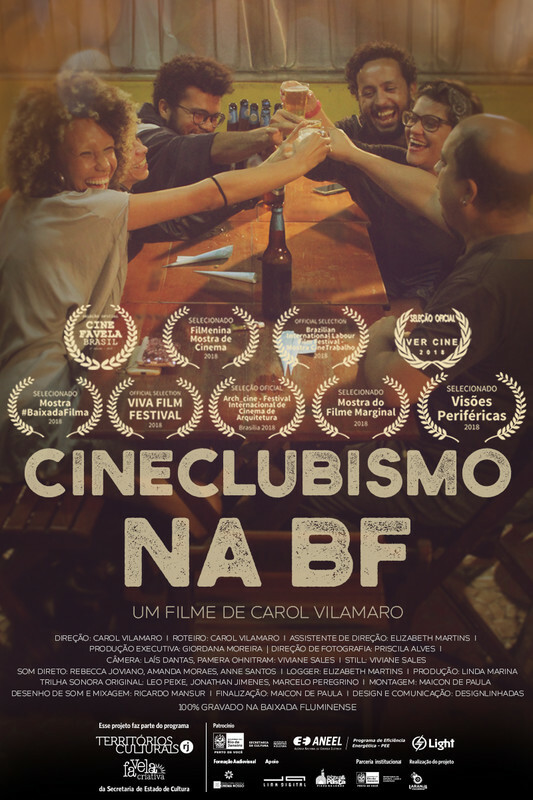 This documentary shows the role of six of the major filmclubs in Baixada Fluminense; Cineclube Mate com Angu, from Duque de Caxias; Cineclube Buraco do Getulio, from Nova Iguaçu; Cineclube Donana, from Belford Roxo; Cineclube Cinema de Guerrilha, from São João de Meriti; Cineclube Xuxu com Xis, from Austin; and Facção Feminista Cineclube, from Duque de Caxias. These film clubs take movies to squares, to bars, to schools and to where else there is a place to show. Promote film clubs is preserve the possibility of gathering, of relating with another and the pleasure of share and motivate people. Journalist graduated from Faculdade Pinheiro Guimarães. She studied filmmaking at the Darcy Ribeiro Film School and professional photography at Senac. Participated in the Laboratory of training in audiovisual in the Produtora Escola Cinema Nosso during every year of 2017. She was already was director, producer, social media, collaborator and photographer of several films. 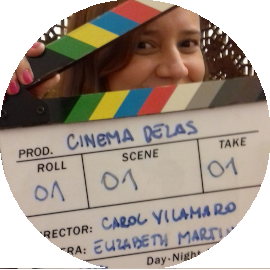 She is one of the directors of the BaixadaFilma movement, a movement that began with a manifesto for the territorialization of the budgets of Audiovisual for the Baixada Fluminense, peripheral region of Rio de Janeiro. Curator of Circuito #BaixadaFilma, an itinerant film show with productions by directors from the region. Producer and exhibitor at the Mostra #BaixadaFilma, staged until June 21, 2018 at the Hélio Oiticica Municipal Arts Center, Tiradentes Square – Rio de Janeiro. Creator of the Volcanic Orange, a seal of independent productions of the Baixada Fluminense. 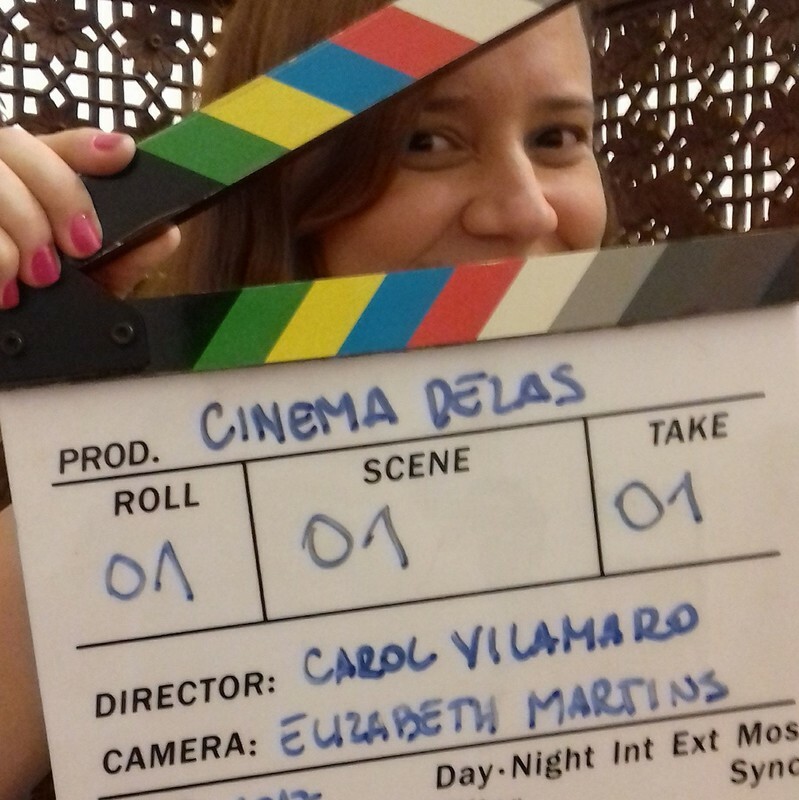 In 2017 she released the documentary Cinema Delas addressing the role of women in film. In the same year he had a documentary project approved in the Cultural Territories edict of the Secretary of Culture of the State and launched on March 8, 2018 in the Odeon a documentary about the cineclubista movement of the Baixada Fluminense, the Cineclubismo in the BF. Synopsis: The Documentary will map the action of five Cineclubes that act in the Baixada Fluminense and will show how they are like actions and projects of the creators. Synopsis: For some things we never grow up. Rafael found an iô-i and old and decided to play with him. Synopsis: The documentary Cinema Delas shows some works that do their work without cinema, example of struggle and resistance. Synopsis: There are two sides to the story of Nova Iguaçu, Baixada Fluminense. One side is the media point of view, the other side of who lives in the city. Synopsis: Eight villagers, eight stories and one same problem: one street. Synopsis: Leila, Claudia, Valentina, Fernanda and Ciça are not known, but they discover that they have more in common than they imagine. Synopsis: Created in 1982 by the circle Luis Olimecha and by Orlando Miranda, a National Circus School still maintains its activities. Synopsis: A girl discovered another side of himself, after recognizing his identity through the mirror and curly hair. Synopsis: In a world of so many possibilities, how would it be if we were infected by poetry?